Every business has it's jargon and residential real estate is no exception. Mark Nash author of 1001 Tips for Buying and Selling a Home shares commonly used terms with home buyers and sellers. 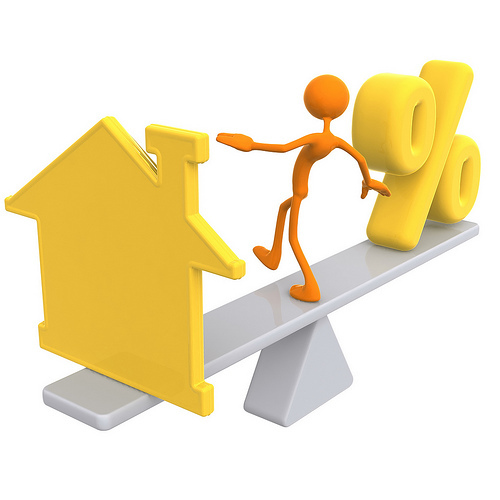 Annual percentage rate (APR): The total costs (interest rate, closing costs, fees, and so on) that are part of a borrower's loan, expressed as a percentage rate of interest. The total costs are amortized over the term of the loan. "As-is": A contract or offer clause stating that the seller will not repair or correct any problems with the property. Also used in listings and marketing materials. Board of REALTORSВ® (local): An association of REALTORSВ® in a specific geographic area. Broker's market analysis (BMA): The real estate broker's opinion of the expected final net sale price, determined after acquisition of the property by the third-party company. Broker's tour: A preset time and day when real estate sales agents can view listings by multiple brokerages in the market. Buyer agent: The agent who shows the buyer's property, negotiates the contract or offer for the buyer, and works with the buyer to close the transaction. CLUE (Comprehensive Loss Underwriting Exchange): The insurance industry's national database that assigns individuals a risk score. CLUE also has an electronic file of a properties insurance history. These files are accessible by insurance companies nationally. These files could impact the ability to sell property as they might contain information that a prospective buyer might find objectionable, and in some cases not even insurable. Condominium budget: A financial forecast and report of a condominium association's expenses and savings. Cooperating commission: A commission offered to the buyer's agent brokerage for bringing a buyer to the selling brokerage's listing. Credit report: Includes all of the history for a borrower's credit accounts, outstanding debts, and payment timelines on past or current debts. Credit score: A score assigned to a borrower's credit report based on information contained therein. Earnest money deposit: The money given to the seller at the time the offer is made as a sign of the buyer's good faith. Feedback: The real estate sales agent and/or his or her client's reaction to a listing or property. Requested by the listing agent. Homeowner's insurance: Coverage that includes personal liability and theft insurance in addition to hazard insurance. IDX (Internet Data Exchange): Allows real estate brokers to advertise each other's listings posted to listing databases such as the multiple listing service. Inspection rider: Rider to purchase agreement between third party relocation company and buyer of transferee's property stating that property is being sold "as is." All inspection reports conducted by the third party company are disclosed to the buyer and it is the buyer's duty to do his/her own inspections and tests. Listing agreement: A document that establishes the real estate agent's agreement with the sellers to represent their property in the market. Loan closing costs: The costs a lender charges to close a borrower's loan. These costs vary from lender to lender and from market to market. Loan package: The group of mortgage documents that the borrower's lender sends to the closing or escrow. Loan processor: An administrative individual who is assigned to check, verify, and assemble all of the documents and the buyer's funds and the borrower's loan for closing. Loan underwriter: One who underwrites a loan for another. Some lenders have investors underwrite a buyer's loan. Lockbox: A tool that allows secure storage of property keys on the premises for agent use. A combo uses a rotating dial to gain access with a combination; a SupraВ® (electronic lockbox or ELB) features a keypad. Marketing period: The period of time in which the transferee may market his or her property (typically 45, 60, or 90 days), as directed by the third-party company's contract with the employer. Mortgage banker: One who lends the bank's funds to borrowers and brings lenders and borrowers together.